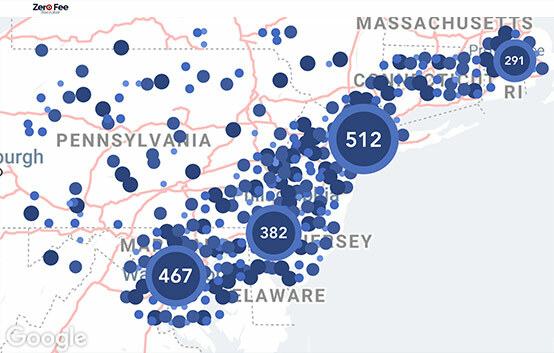 Over 3,000 Organizations. 10,000 Users. 40 Countries. Today's fastest-growing companies use global sourcing, recruiting and candidate marketing software solutions from Zero Fee Recruiter to reach the right talent, right now. Any industry and Any discipline from director level to hourly. Use Zero Fee Recruiter to Fill 1 or 2 Jobs or to Manage all of your Jobs and Candidates From Discovery to Hire. You will Hire Faster, Smarter and Better! qualified candidates in any industry. It’s a fact that passive candidates make up 81% of the entire global wokforce. You need a flexible, automated tool that helps you reach these candidates and simplify your hiring process. “You are awesome! And thank you very much for the team work! When You Need To Hire, Right Now! 75% of job applications come via mobile phones. 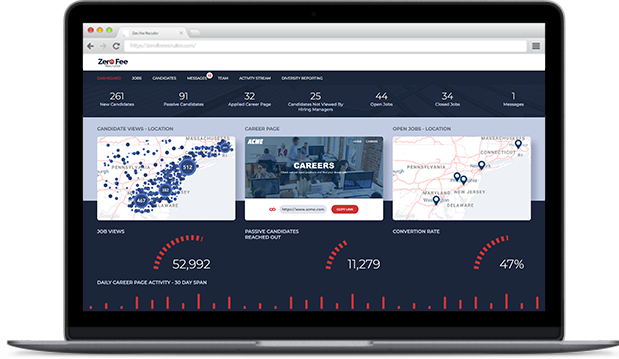 Mobile geo-targeting is central to the Zero Fee Recruiter recruitment technology. Location matters more than ever in a candidate driven market. 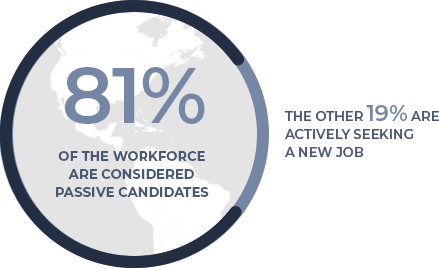 Location based recruiting has proven to be a benefit for employers to have their employees live nearby, it increases retention rates and creates a more productive workplace. Through our sophisticated technology we deliver only qualified and verified candidates that will propel your company into the future. 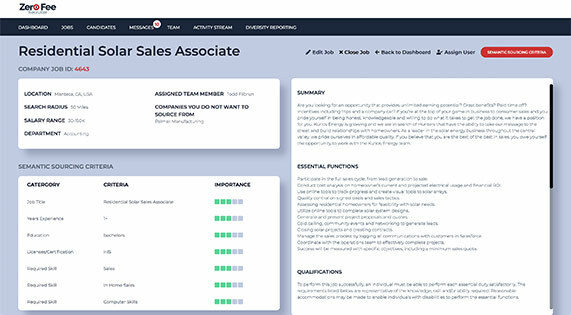 Our AI-powered recruiting software has reduced cost per screen by 75%, increased revenue per employee by 4%, and turnover decreased by 35%. Speeding up these parts of recruiting reduces time-to-hire, which means you’ll be less likely to lose the best talent to faster moving competitors. Reach Out is a proprietary system development by ZFR that enables our clients to access passive candidates from any viable source on the web and beyond. We deliver the best and brightest talent, giving our clients an edge over their competitors. Our diversity recruiting feature works successfully for employers ranging from small non-profits to Fortune 500 companies hiring across all job functions and industries. The fact is that diversity is critical to the success of your team and your business. If your current strategy does not include a diversity recruiting Strategy, you are missing out on great candidates. Let Zero Fee Recruiter help! Zero Fee Recruiter can deliver qualified candidates in any industry and any discipline from director level to hourly.